Writing this review wasn´t easy. Somehow, I was searching for words to describe the mood I was in while reading and always waiting for the moment that the story will make me feel touched. Well, what can I say? Either this one wasn´t meant for me or it just wasn´t the right time. But compared to other books I´ve read by the author, Happily Inc couldn´t catch me the way her other work has managed it. Sad, but it happens sometimes. Natalie is working her bud off to be able to pay her bills, food and all the other things you need in your life. She is an artist, but that has to come last when she has the chance to earn some money. When she meets Ronan at his home in the mountains, she knows that they are worlds apart. His home is filled with material up to the roof, it provides the perfect working space for Natalie and the world with all problems seems far away. I admit, this novel is filled with hilarious dialogues and great scenes and makes you sometimes laugh. But it isn´t what I call a page-turner. Even while reading the emotional scenes, I wasn´t really haunted by it. I simply couldn´t get access to the figures or their environment. As if I was only watching from a distance. Don´t get me wrong here. The plot itself is beautiful, and the figures are very well created. The author´s style is simple, easy to read and gives you all the information you need to know where you are, and the sometimes-witty dialogues are great. And yet I was always waiting for something to happen that got me straight. Not happening. Sad, but it was a read that didn´t leave its mark on me. And when I think of the other books I´ve read by the author, it is a bit disappointing that this novel couldn´t do the same job. Well, happens. Natalie is a great person. She loves life, her art and that she is able to do what she loves. Her passion for the unusual is remarkable. She wants a red car. The rest? Not important as long as it is red. Her friends matter a lot. And she is always on the bright side of life. Not financially, but with her sunny heart and the way how she sees things. Sure, she had some very devastating moments in her life, like everyone else. But that´s no reason for her to give up or see only the negative things life has also to offer. It was nice to watch how she made Ronan jump when she told him her plans. I never thought that downloading an app would cause such hilarious moments. All in all, the novel has unfortunately not been able to enchant me. 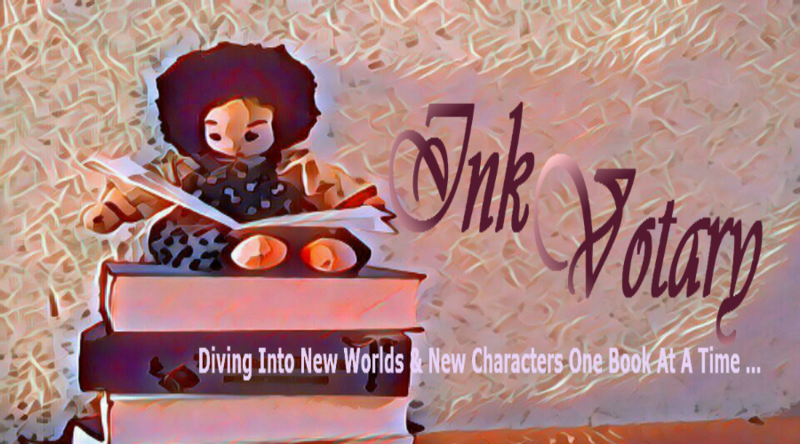 Sure, it was nice to read it, and it was also nice to meet some of the characters. But else? Not sure if I would recommend it. Unless the reader wants just to read a book without getting touched by it, then it is perfect. For me, it wasn´t. Sad. 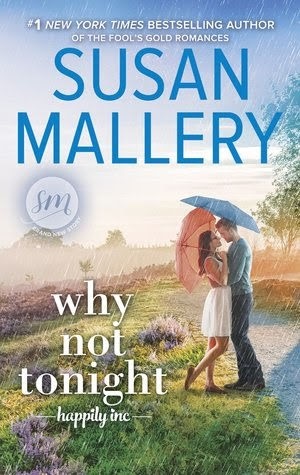 *The book was published Why Not Tonight by HQN Books on September 18, 2018. 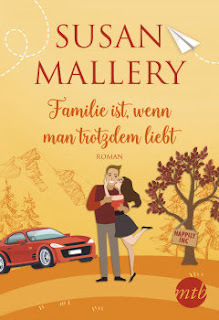 Susan Mallery writes heartwarming, humorous novels about the relationships that define our lives-family, friendship, romance. She's known for putting nuanced characters in emotional situations that surprise readers to laughter. Although Susan majored in Accounting, she never worked as an accountant because she was published straight out of college with two books the same month. 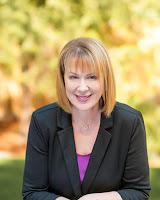 Sixteen years and seventy-four books later, she hit the New York Times bestseller list for the first time with Accidentally Yours in 2008 and finally hit #1 in 2015 with Thrill Me. Beloved by millions, her books have been translated into 28 languages. Susan lives in Seattle, Washington state with her husband, two cats, and a small poodle with delusions of grandeur.